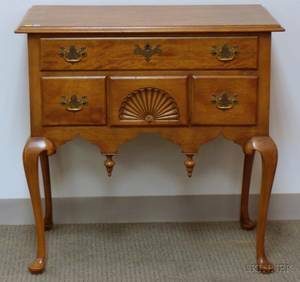 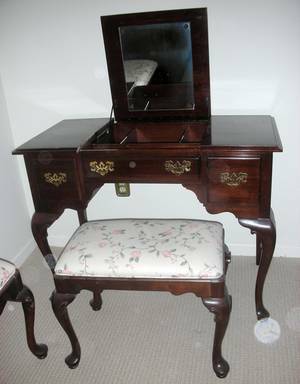 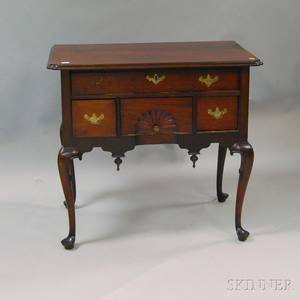 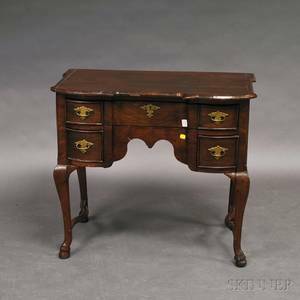 QUEEN ANNE STYLE ETHAN ALLEN MAHOGANY, DRESSING TABLE, ALSO BENCH:Dressing table in mahogany, Queen Anne style W 40", H 30" having two drawers and hinged vanity mirror. 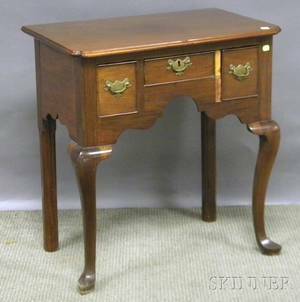 Also Queen Anne style bench maker unknown W 24". 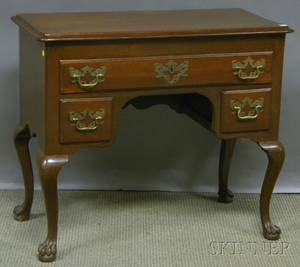 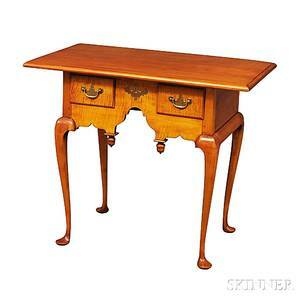 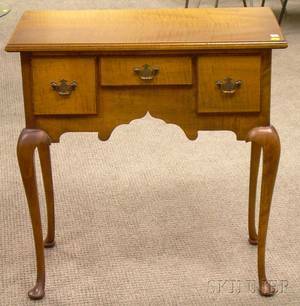 Queen Anne-style Carved Walnut Dressing Table with Paw Feet. 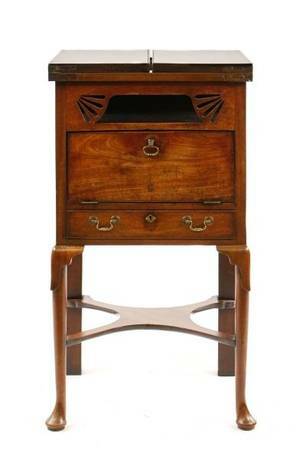 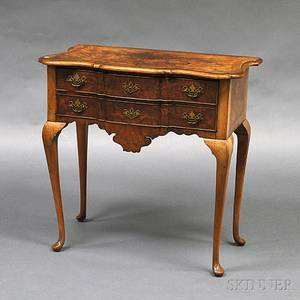 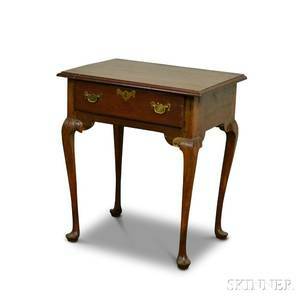 English Queen Anne-style Carved Mahogany Dressing Table.